Famous for making the cases used in tool kits, Platt has years of experience manufacturing cases. The Guardsman ATA Style cases are extremely heavy duty with recessed latches, wheels and pull handles. This is a classic-looking case. 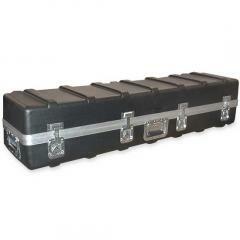 The blow molded cases are the least expensive cases we sell, and work great for light duty work. Excellent choice for OEM's who need a case to pack their equipment in for sale.